Another day where the sun beats me to clock out time! 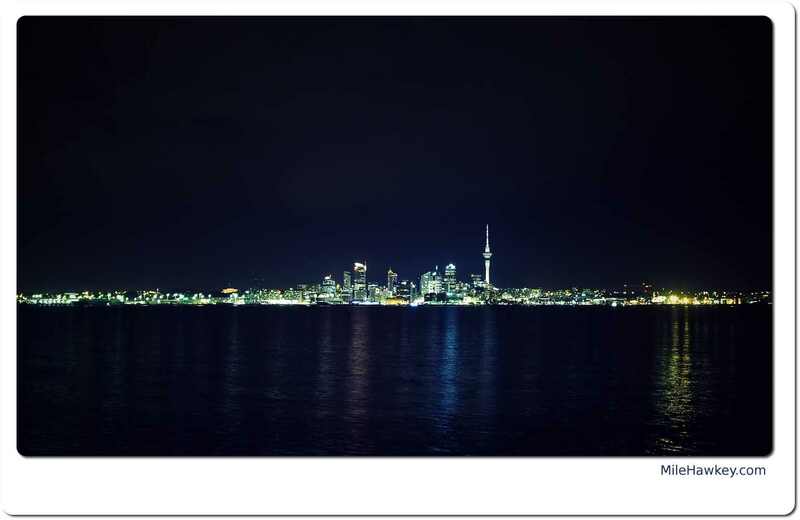 Todays image is of my home city, Auckland. For those reading from overseas, Auckland is New Zealand’s biggest city with a relatively small (by world standards) population of around 1.4 million – Somewhere around 30% of our population. Taken on my Ricoh, partially hand-held, I was quite pleased with the result for a small sensor camera. Being the camera has a fixed 28mm lens, I was limited in my framing of the image (standing at the end of the pier!) I always like the city by night – everything else around is in darkness, but the city is alight, visible from miles away. Post taking I just did a little cropping, corner and boarder forming.